Mar Vista Grande is a luxury condominium complex that exudes comfort and gracious coastal living. Located near Main Street in North Myrtle Beach also puts Mar Vista Grande in the middle of shag dancing country. This property offers both oceanfront and ocean view three and four bedroom units. There are three floor plans of three-bedroom condos and one floor plan for all four-bedroom units. All of the designs are split floor plans that situate the master bedroom at the front of the condominium for maximum owner access to the oceanfront balcony. Mar Vista Grande offers amenities like a lazy river, an outdoor swimming pool with a shallow area for the younger ones, and a Jacuzzi. For those cooler days there is a large indoor pool area. On the fifth floor you will find a fully equipped exercise room and a business center with computers for residents to use. The interior decor, furnishings and floor plan options make Mar Vista Grande one of the best oceanfront properties in the area. If you’re in the market for a three or four bedroom condo, please come check out Mar Vista Grande with a RE/MAX Southern Shores agent, and you’ll see why hundreds of buyers have chosen this location! As the #1 selling real estate agency on the Grand Strand, RE/MAX Southern Shores agents are experts when it comes to knowing where the best properties and best buys are in North Myrtle Beach. Get your very own piece of the beach at Mar Vista Grande, an ideal property for anyone looking for a year round residence, a vacation home, a beach getaway, a real estate investment, or rental income. RE/MAX Southern Shores real estate agents can help you every step of the way as you purchase a luxurious beach condo. If you're looking for one of the most impressive oceanfront complexes in which own a condominium, look no further than the Mar Vista Grande! 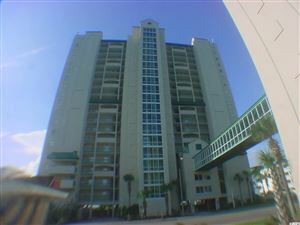 Contact RE/MAX Southern Shores at 843-839-0200 for more information about these condominiums in North Myrtle Beach. By using the search page for RE/MAX Southern Shores you can find a property that meets your specific needs by searching all of North Myrtle Beach, South Carolina real estate or the Mar Vista Grande in particular. 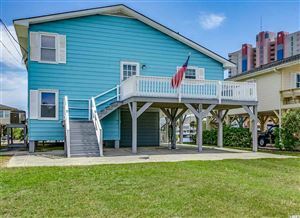 RE/MAX Southern Shores agents sell both residential and vacation homes in this quiet section of North Myrtle Beach, and one will find the condo that YOU are looking for. The Mar Vista Grande is an ideal community for year-round residents as well as individuals who want to invest in real estate for rental purposes. Every unit has a spacious kitchen with microwave, refrigerator, range/oven and dishwasher, an outdoor balcony overlooking the ocean and Wi-Fi. If you're looking for rental income, Mar Vista Grande is a great real estate investment. Visitors come back year after year to this popular resort. Because units are individually owned the furnishing vary according to individual taste. Some units are sold furnished and other can be purchased unfurnished with prices ranging from $350K or more for three bedroom, 1600 square foot condos and $450K and up for four bedroom, 1800 square foot units depending upon the elevation and floor plan. 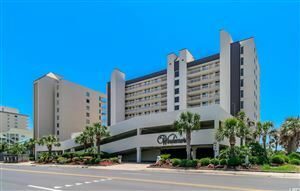 These oceanfront, luxury condominiums attract permanent residents, sun worshipers vacationing in Myrtle Beach April through October, “snow birds” escaping the northern cold winters, and golfers who hit the links all year round. Please contact our office at 843-839-0200 where RE/MAX Southern Shores agents are on available every day to assist with all your real estate needs. We’ll help you navigate the touring, selection, negotiation, and purchase process for the Mar Vista Grande property that is perfect for YOU!